Big news from the folks at popular kids’ tablet maker LeapPad: The company is introducing a new line of learning-based card games for kids called LeapFrog Imagicards. Each game includes a set of 30+ physical collecting cards that can be used in conjunction with gameplay to unlock new features. The company is also updating its tablet line with the new LeapPad Platinum for kids age 3 through 9. 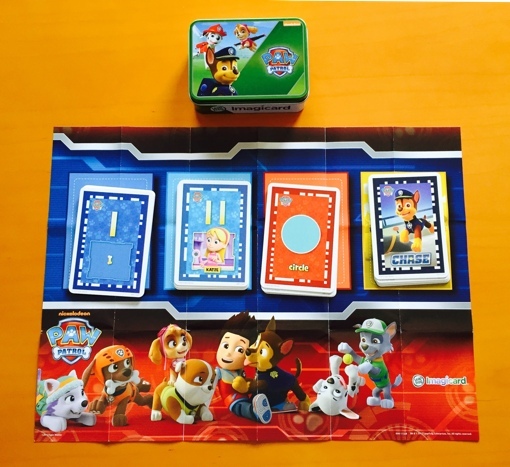 The initial batch of LeapFrog Imagicard games includes PAW Patrol (ages 3 to 5), Teenage Mutant Ninja Turtles (ages 5 to 8) and Leapfrog Letter Factory (ages 4 to 7). Kids unlock their favorite characters in-game by taking a picture of an imagicard using the LeapPad’s camera. Games increase in difficulty as your child learns to keep challenging their skills, and there are fun creative diversions in each – kids can take ninja selfies while learning math with the Ninja Turtles, for example. The games are compatible with all previous generations of the LeapPad, save for the first-gen LeapPad 1. 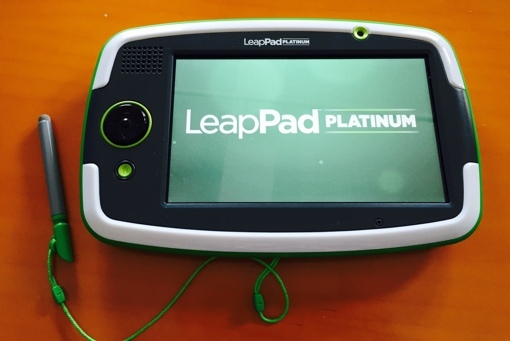 LeapFrog is also introducing a brand new entry into its line of kids’ tablets, the LeapPad Platinum. It features durable construction; a 7-inch high-resolution, multi-touch shatterproof capacitive screen; and 8 GB of internal memory. It can run over 1,000 different LeapFrog learning games, apps, eBooks and videos, and features the company’s kid-safe LeapSearch web browser. LeapFrog Imagicard games include the LeapPad software, a storage tin, and card play mat. They’ll be available online and in stores for $24.99 each sometime in August 2015. The LeapPad Platinum Tablet (available in green and pink) will retail for $129.99 when it launches July 2015. For more on each, visit leapfrog.com.